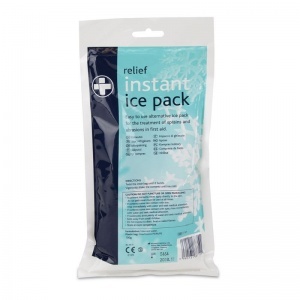 The Relief Disposable Instant Ice Pack is an easy to use ice pack for the first aid treatment of sprains and abrasions. Free from ammonium nitrate, it is the ideal product to aid in treating sports injuries as it can provide immediate, on the spot ice therapy. 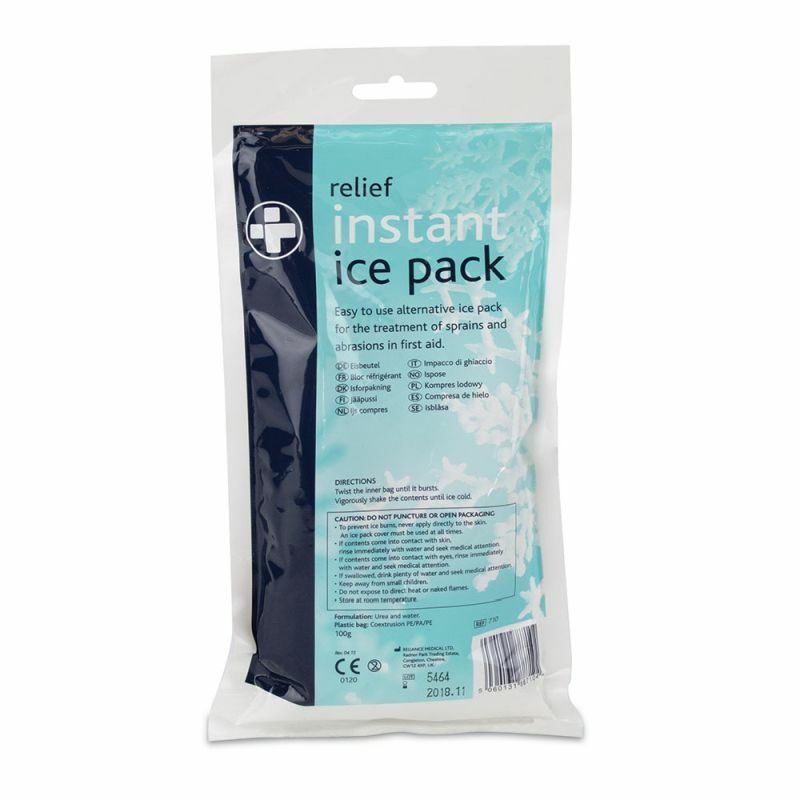 This 100g Instant Ice Pack has been created for single-use treatment to relieve pain, swelling and inflammation of injuries. It can be used on sprains, strains, sports injuries or even for those who suffer from arthritis, and is effective for managing pain in the short term. To activate the Instant Ice Pack, twist the inner bag until you can hear it pop, and then shake the contents of the pack until you can feel the desired level of cold. Apply over the affected area using a cover to avoid ice burns, and leave on the injury for 20 to 30 minutes, regularly checking the colour of the skin. If the skin turns bright pink or red, please seek medical attention immediately. The Relief Disposable Instant Ice Pack is usually dispatched via First Class Royal Mail and delivery should be within 1 to 3 working days.